Ready to mount your new or used Briggs & Stratton LO206 engine but not sure what you need to mount it. 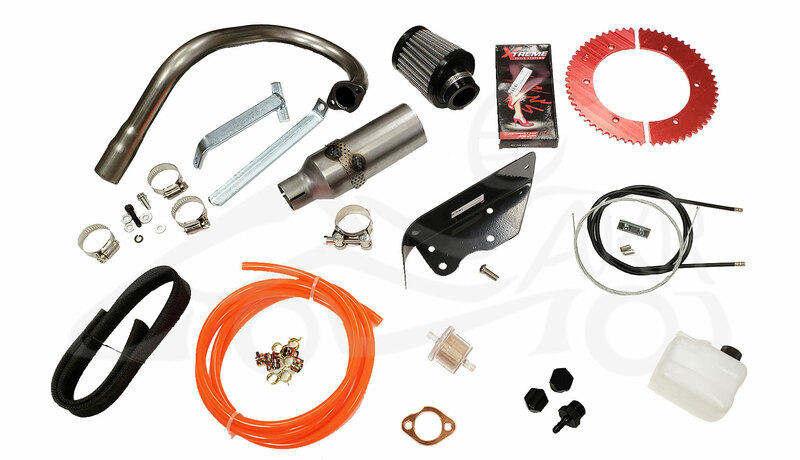 This kit has everything that we use for our in house turn key kart builds. No more hold ups for that one little part that you didn't know you needed. Now all you have to do is scratch out some time and get to work. 1- B91XL Exhaust Silencer 1-5/16"